If you have never drilled glass before it can be a bit daunting. 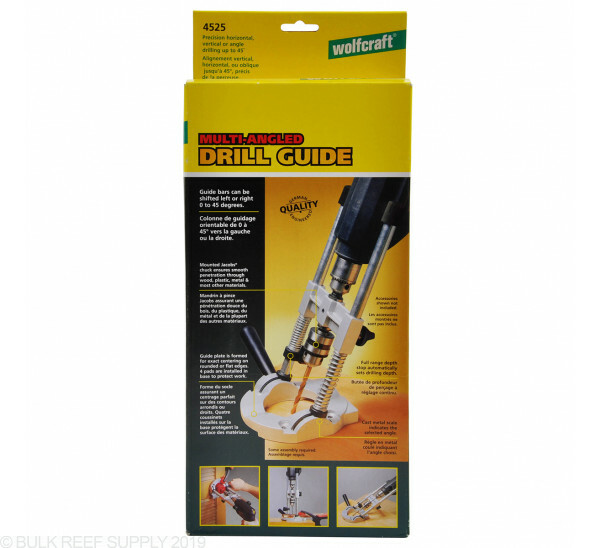 To make it easier we highly recommend a drill press to keep your drill from jumping around and allowing you to have nice smooth control of the drill bit. These presses will work for many other applications where a straight, controlled hole is needed and will be a valuable tool to have around the house. Drilling holes in your tank may seem like an intimidating task but with the right tools it can be a complete breeze. With this attachment, once you do your first one you will wonder what all the fuss is about - it's that easy! 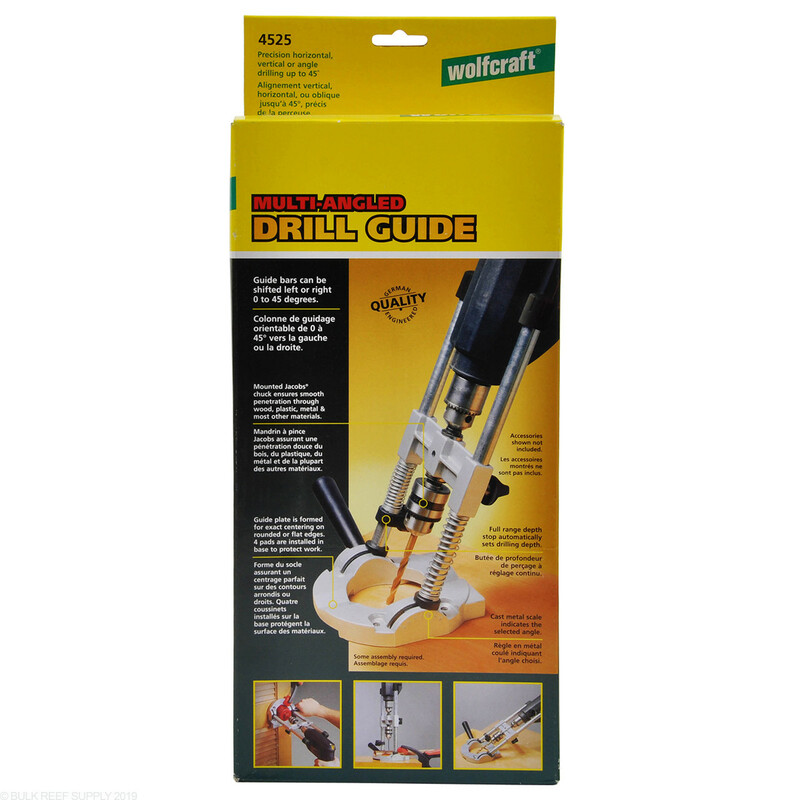 The drill guide holds your bit straight, eliminating the possibility of scratching the tank. Allows you to apply slow even pressure, avoiding chips at the end. 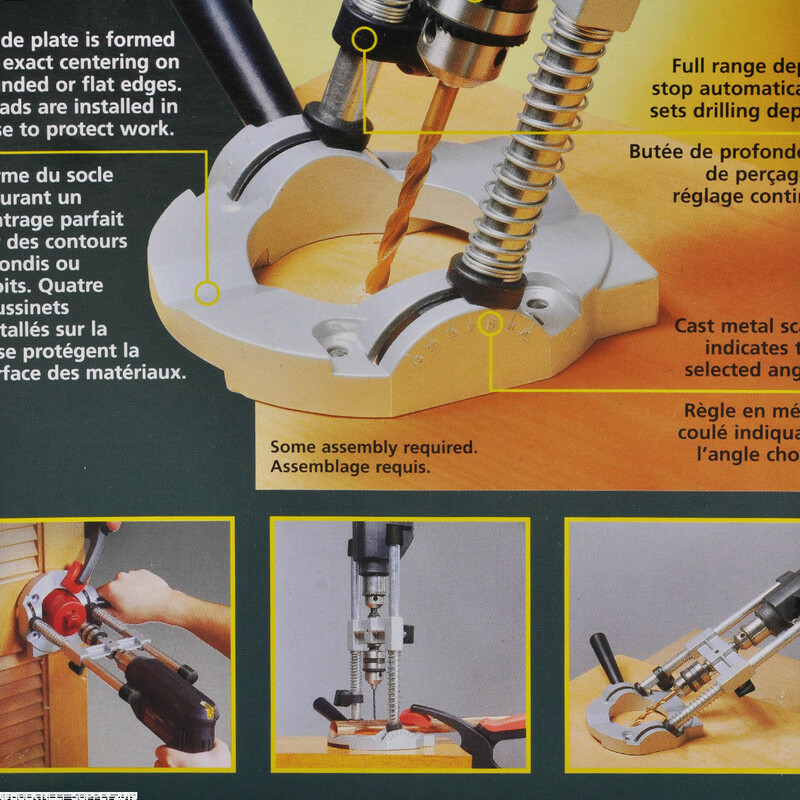 Accommodates up to 65mm drill bit. This as stated by others does wobble not so much that you can't use it... BUT enough that it should not cost so much seems like a harbor freight quality tool. Easy to use. Just follow the instructions. Lots of vids on Utube. As mentioned, the springs need to be removed. I experienced the bit wobble too, but I don't think it's the press. Mine had no wobble without the bit (or a regular bit installed). My best guess is that the glass bits are the culprit. In any case, I was able to drill two holes in the back of my 150 g with relative ease. 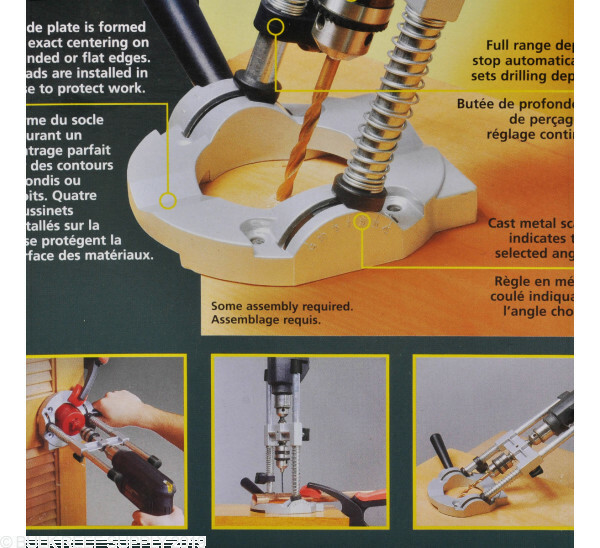 I used this to drill both the back of the overflow box and the tank. It worked perfectly. Listen to their advice though and remove the springs. I have to buy a new one of these because the one I borrowed from a friend broke. See Ken's review. Because the vertical rods came loose during the operation, the bit caught just as it finished the hole. The drill and guide jumped off of my tank and fell to the floor while still spinning. I have to say this happened on the 2nd hole, the 1st hole went well. Just be cautious, especially at towards the end. It is a nice tool but beware, it will not use the 2 inch(75mm) glass cutter without modification. I had to grind the base side walls for the 2 inch(75mm) to pass through. Once I had the base modified it was easy work to cut the glass. You definitely need to hold the base though, if the cutter catches it will knock the entire jig and drill around. I think the theory behind this is great. Right out of the box it is quite sturdy and seems well built. It was easy to put together and fit my drill like a glove. I highly recommend this tool takes all the worry about getting your hole started in the exact place you want it, now worries about the drill bit grabbing and walking across the tank and potentially ruining a nice tank. The drill press comes in very handy. Remember to take of the springs of the drill press when drilling into the glass or the extra weight of pushing it down can cause you to break the glass, it happen to me =(. Free handed it which went a lot better then watched the video of it again and noticed they took the springs off. Also use a high speed drill that will help a lot. Works good though once you know how to use it.